"...It's a... pleasure to meet you, please treat our kind well." A humble eastern worker honey bee. She seems uninterested in most things unless it involved or benefited her Queen, Mona Apis. 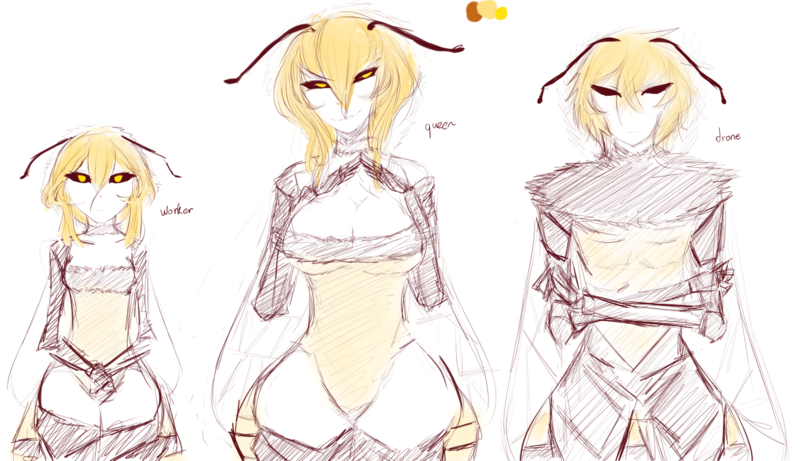 After the Queen had decided to abandon their old hive due to the potential threat, most of the work for settling in was handled by her, and she will be the first you meet if you haven't been scouted by Genus Apis. Tries her best to stay reserved by showing a minimal amount of emotions, but she bursts with joy whenever her hard work and accomplishments get appreciated. And loves head pats, a lot. Especially from the queen. The Queen's hive primary, if not only use Pole arms to subdue any threat and for self-defense. Cerana's choice, being an Eastern bee much fittingly fell to the Naginata, the traditional Japanese blade made into a pole, iconically used by nobility. 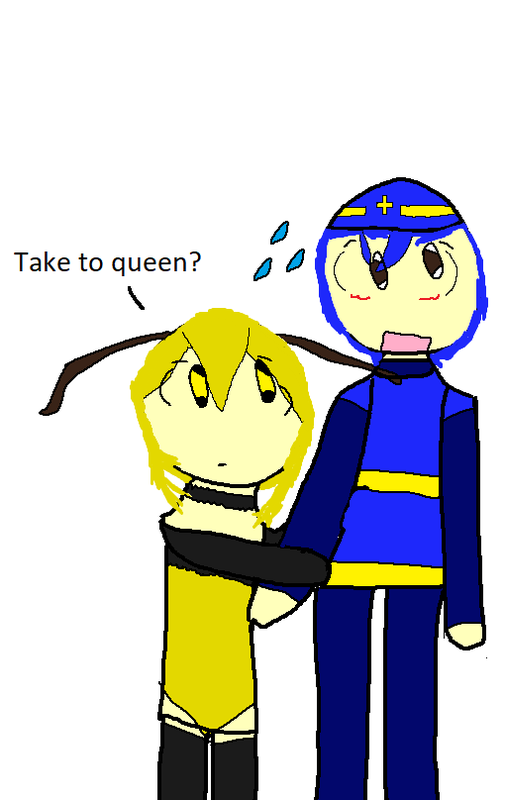 Cerana, along with the Queen can produce honey, rich of nutrients made from the finest nectar. Their honey has healing capabilities, used to treat many illnesses and is a vital ingredient for alchemists.